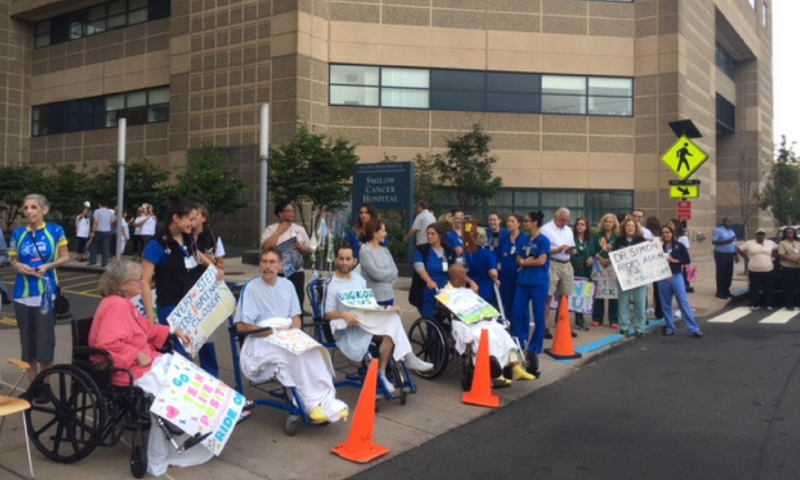 Smilow staff riding for their patients. The Closer to Free Community cheered participants who rode in memory of someone they have lost to cancer, to give support to those currently undergoing treatment and to rejoice with survivors. 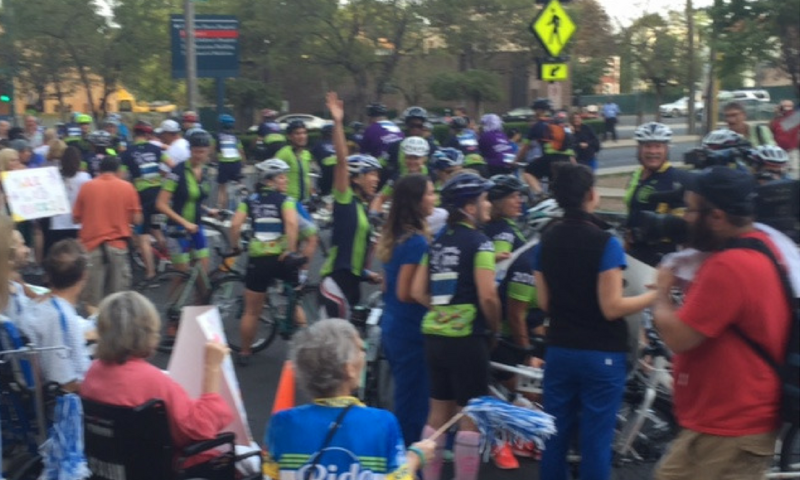 In 2016, our 6th ride welcomed 1,450 riders, 519 volunteers, 125 survivors who along with family, friends, staff and the community participated in a day of hope. Proceeds benefited: Survivorship; Clinical Trials; Phase I Research Program; Cancer Genetics Prevention Program; Leukemia/Lymphoma; Melanoma. Patients, staff, volunteers cheering riders.